Anyone else get hit by the snow today? Hit? No. I was not pelted by snow. I was surprised when that wine was plonked on the table. I rarely drink on the road but I don't traditionally drink Artemis, so I didn't want to pass it up. When I saw the bottle, I was curious to see the wine list (and the prices). Alas, I was not the host, so I have no idea about the local price. But it sure was nice and helped me sleep. Surprisingly bearable jetlag this trip. would you perhaps be referring to the Biltmore Estate near Asheville? I've found I can usually power through jetlag when I reach my destination, but have a very difficult time with jetlag once I get home. We got snow on Sunday night/Monday. Apparently my son took advantage of the opportunity to slide off the road and total his car. Is that the kind of hit you were talking about? Yay for tomorrow! With all the talk about drinking in here, it seems that everyone is already Thorsty. BTW, all of the Thorsday talk here reminds me of the cute hump day commercial on TV with the camel walking around an office with cubicles. For solid east coast wine, I actually recommend Virginia. 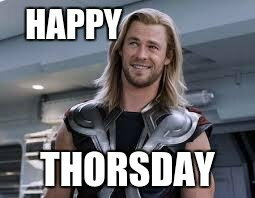 LOL, after today, I cannot wait for Thirsty Thorsday! LOL, the Geico commercial that's old and being replayed? Really sorry about the car! !